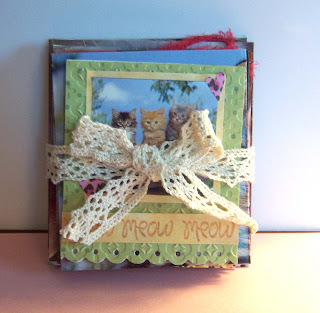 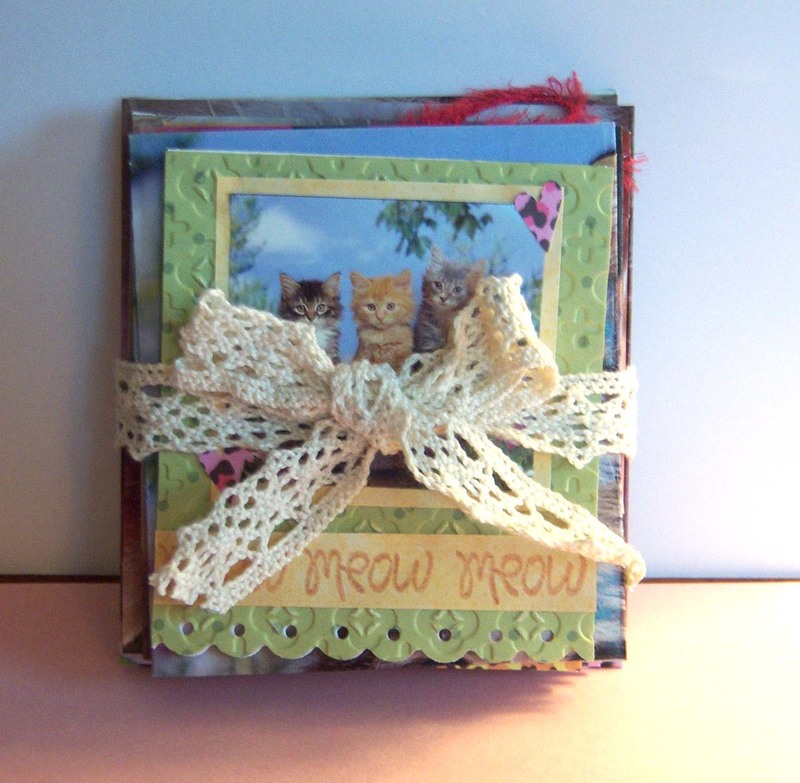 This is one of the projects I intended to have done for the challenge yesterday --- to used recycled products on your cards. 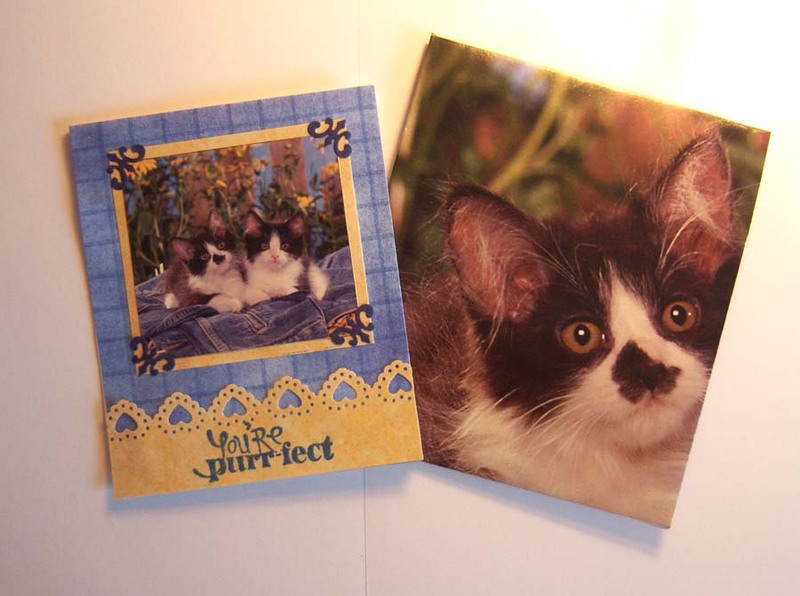 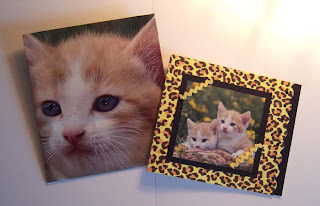 I have a friend who requests homemade cards for her birthday every year and this year she ask me to make mini cat cards for her. 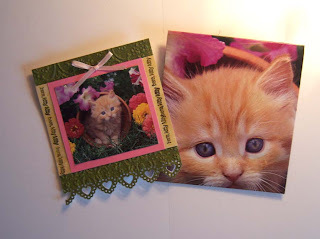 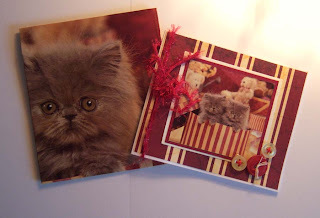 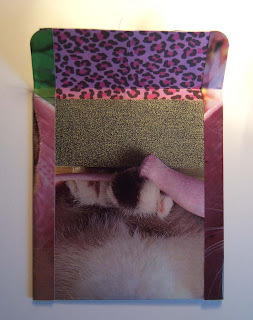 Another friend posted yesterday and the day before about turning calendar pages into envelopes --- so I used the thumbnail images on the cards and the matching big pages for the envelopes. 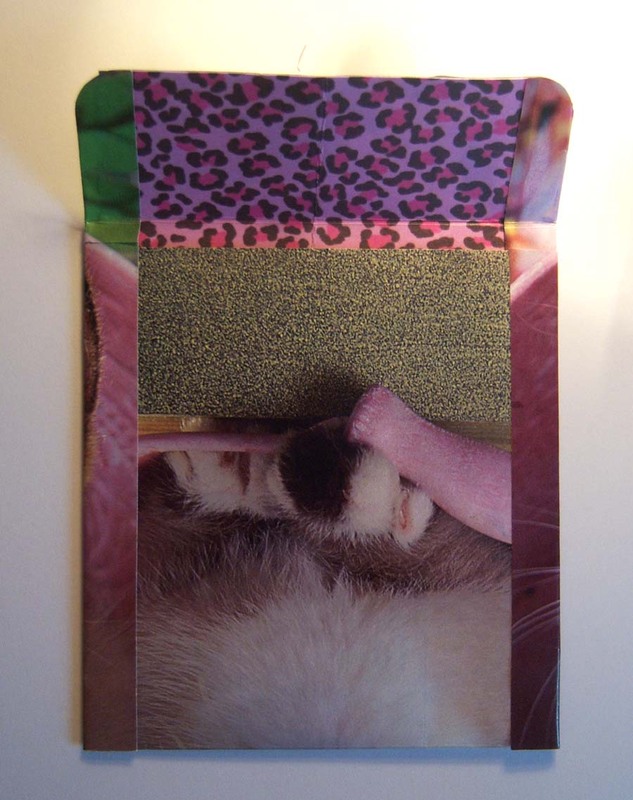 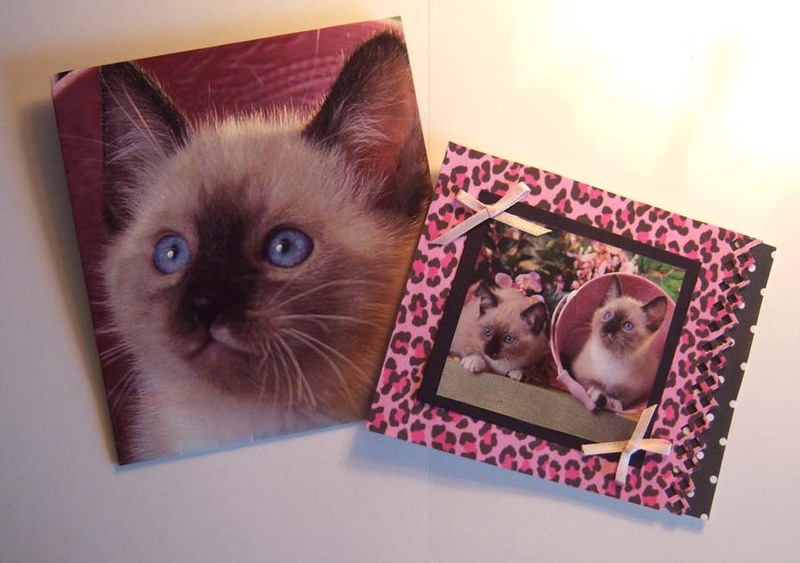 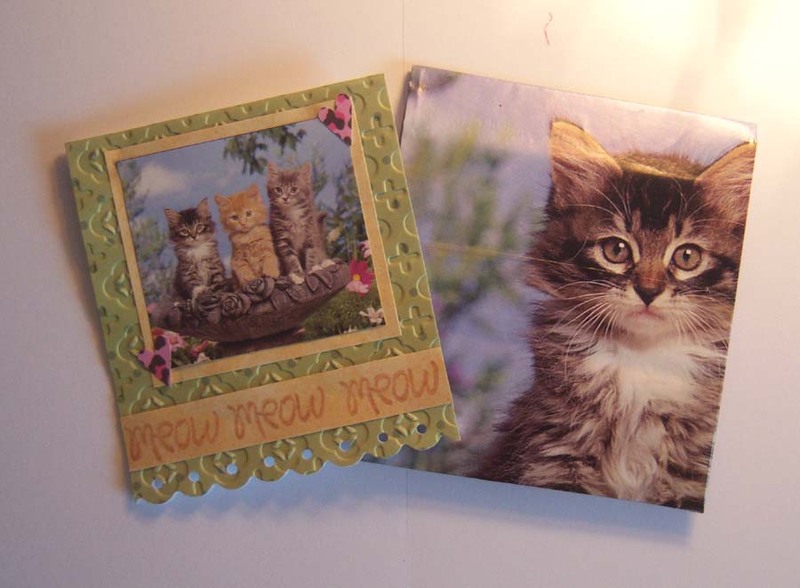 I'm thinking my "cat-loving" friend is going to be extra pleased to have the matching envelopes -- hope so! 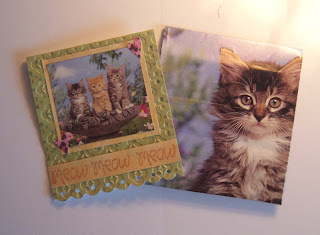 For the most part I used scraps from my scrap bin to make these cards --- so you could say I recycled lots of things!